Rose plants exhibiting stem discoloration or blackening may have contracted a fungal disease that causes stem cankers. Stem cankers are caused by several different fungi, according to Ohio State University. These fungal spores enter through the wounds made in stems by improper pruning or weather damage. It is important for rose gardeners to recognize the signs of stem cankers and employ proper disease management practices. 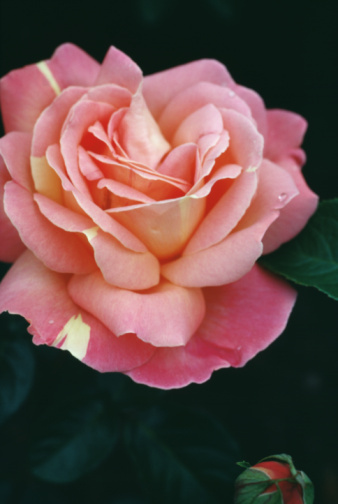 Avoid planting your rose plants too close together to prevent stem canker disease. Disease-causing fungal spores overwinter in debris left underneath rose plants, according to the University of Georgia. In the spring when temperatures rise, these fungal spores germinate and spread through the wind. Often, rose plants are infected during hot humid weather. Improper pruning practices, rainwater, irrigation water, open wounds and infected pruning tools spread fungal spores to different areas of your plant. Gardeners must employ proper management practices and monitor their plant for symptoms during hot humid weather. Infected stems display lesions that grow in size and become discolored. Lesions may start off turning yellow or purple, according to the University of Georgia. Over time, lesions sink into the stems, take on a wrinkly appearance and crack. Furthermore, infected areas turn black. You may see the black fruiting bodies of the fungal spores growing from these infected areas. The result is stem girdling, which prevents both water and nutrients from getting past the cankers. Spray your infected rose plant with the same type of fungicide that you would use to treat blackspot disease. Your fungicide may contain active ingredients such as chlorothalonil, maneb and benomyl, according to Mississippi State University. Avoid spraying a rose plant that is suffering from water stress with fungicide to prevent causing damage. Continue to spray during the growing season to treat stem cankers. Remove diseased portions of your rose plant. Dip your bypass shears in a mixture of 70 percent denatured alcohol and 30 percent water. Make 45-degree angled cuts 5 to 6 inches below the stem canker, as suggested by the University of Georgia. Apply a small amount of glue to the wound to keep fungal spores from entering the plant. Clean up all debris underneath your rose plants. Burn or throw away debris, but do not place the diseased portions of the plant in your compost. Why Do My Petals Fall Off My Roses? 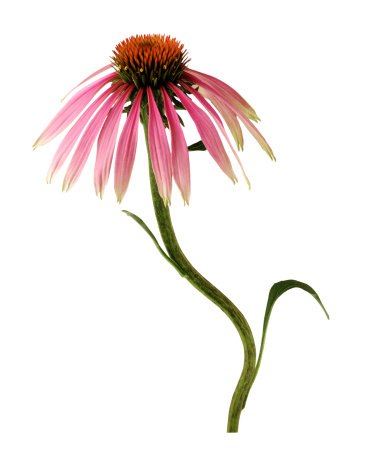 Why Are My Coneflower Buds Drooping?